The Mahāyāna Buddhist term dhāraṇī has been understood to be problematic since the mid-nineteenth century, when it was often translated as “magical phrase” or “magical formula” and was considered to be emblematic of tantric Buddhism. The situation improved in contributions by Bernhard, Lamotte and Braarvig, and the latter two suggested the translation be “memory,” but this remained difficult in many environments. This paper argues that dhāraṇī is a function term denoting “codes/coding,” so that the category dhāraṇī is polysemic and context-sensitive. 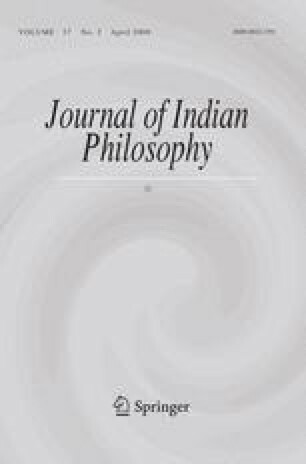 After reviewing Western scholarship, the article discusses dhāraṇī semantic values and issues of synonymy, the early applications of mantras, the sonic/graphic background of coding in India extended into Buddhist applications, and the soteriological ideology of dhāraṇīs along with some of its many varieties. Taishō Shinshū Daizōkyō. Takakusu Junjirō and Watanabe Kaikyoku, (Eds. ), 1924–35. Tokyo: Daizōkyō kai. sDe-dge canon numbers from Ui, Hakuju, et al. (Eds.) 1934. A Complete Catalogue of the Tibetan Buddhist Canons (BKaḥ-ḥgyur and Bstan-ḥgyur). Sendai: Tôhoku Imperial University. Saṁghāṭadharmaparyāya. Ed. Oskar von Hinuber. http://www.sanghatasutra.net/index.html. Strauch, I. (2008). The Bajaur collection: A new collection of Kharoṣṭhī manuscripts—A preliminary catalogue and survey. Online: www.geschkult.fu-berlin.de/e/indologie/bajaur/index.html.